Closeout. 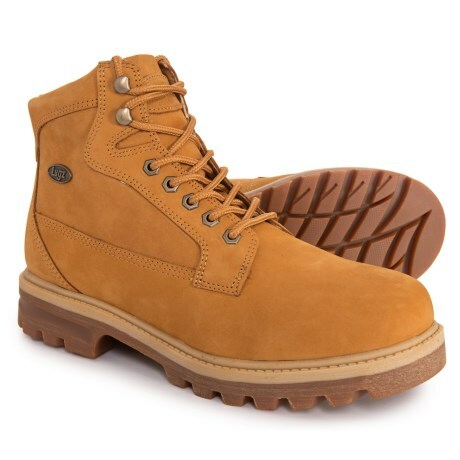 A classic-work-style boot with serious underfoot comfort, these Lugz Brigade boots offer style and warmth as well. Available Colors: BLACK, GOLDEN WHEAT/CREAM/GUM. Sizes: 8, 8.5, 9, 9.5, 10, 10.5, 11, 11.5, 12, 13.